Circuit Breaker Professionals specializes in low and medium voltage air circuit breakers. We have over 10 years experience working with industrial electrical equipment and have access to an expansive network of reliable suppliers. 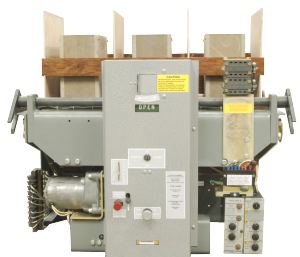 Our mission is to provide fast, competitive pricing on air circuit breakers, switchgear and associated parts. Whether you're updating an older air circuit breaker or simply need to find parts to keep your out-of-produciton model running strong - we can help! Circuit Breaker Professionals has the knowledge and expertise to locate and deliver rare parts quickly. If your equipment is out-of-production or just plain hard to find you've come to the right place! Copyright (c) 2011 BreakerPros.com. All rights reserved. Designed in part by Free CSS Templates.